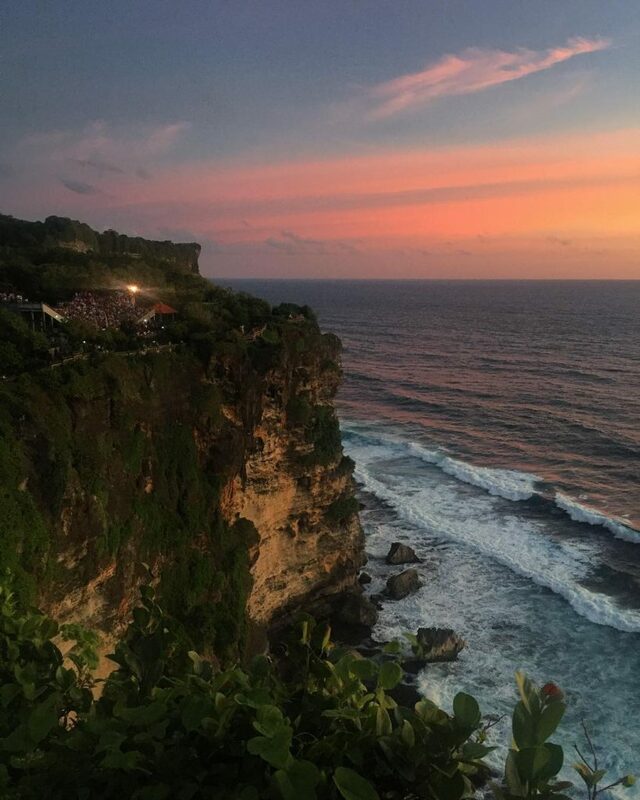 Rich in Indonesian history, Uluwatu is home to one of the most famous tourist attractions in Bali: Uluwatu Temple. 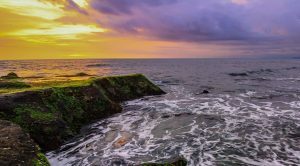 The temple stands on a cliff overlooking the southern sea with a beautiful view of waves hitting the rocky cliffs. This religious sanctuary is a beauty with crowds of locals and tourists visiting it every day. The biggest draw is none other than the Kecak dance that takes place on a stage outside the temple. This show is performed daily by more than 50 dancers and takes on the story of Ramayana. Without the use of musical instruments, the dance is a captivating performance that takes place every evening. 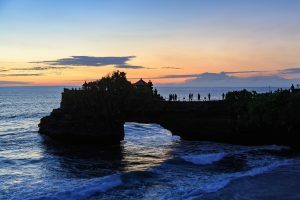 Out of the many locations around Bali where Kecak dance is performed, nothing beats watching the show at Uluwatu Temple where the performance is set against a breathtaking sunset. Foreign visitors who wish to see Uluwatu Temple and its surrounding scenery must pay an entrance fee: 30,000 Rp for adults and 20,000 Rp for children. 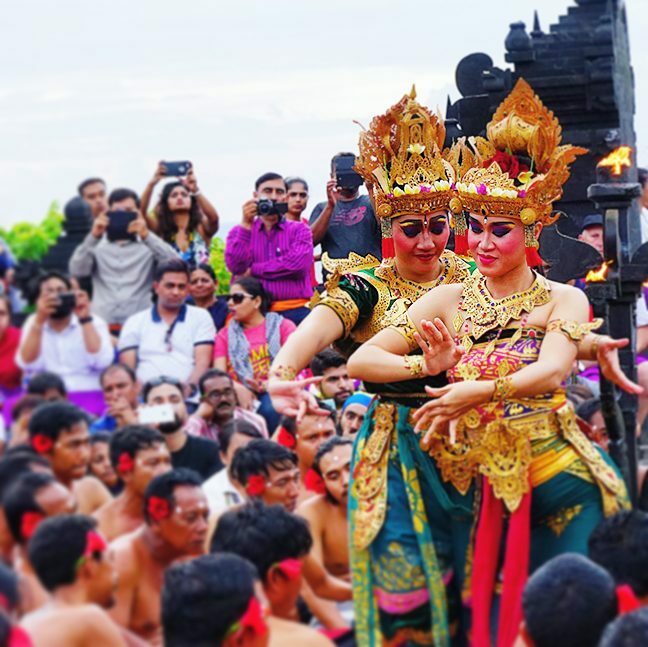 The viewing of the Kecak Dance will cost an additional Rp 100,000 per person. 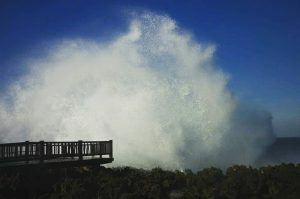 Uluwatu is open every day from 8am to 7:30pm. 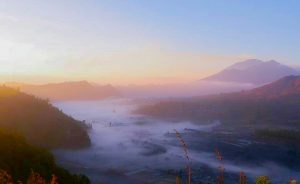 If you would like to match the Kecak dance schedule, the best time to visit is in the late afternoon, giving you time to explore the temple and its surrounding areas before making your way for performance. The show takes place from 6pm to 7pm and tickets for the show can be bought from the ticket counter from 5:30pm onwards. 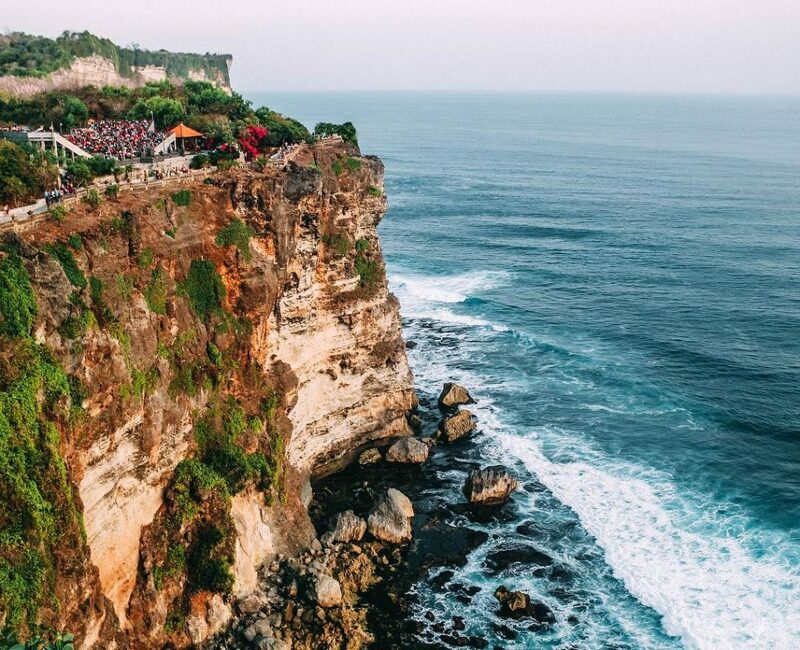 As the temple is a sacred place, visitors must adhere to the dress code before entering Uluwatu Temple. Visitors wearing pants or skirts above the knee must cover themselves with a sarong (or long cloth) tied at the waist. This sarong is provided at the entrance of the temple. Fun fact: The yellow colour of the sarong, also known to locals as a salempot, symbolise respect for the sanctity of the temple. By car, it is slightly over an hour from Denpasar, 2 hours from Ubud and 1 hour from Kuta. Public transportation to Uluwatu is limited but check out Trans SARBAGITA, a public transport network that links Denpasar, Badung, Gianyar and Tabanan. Tickets are 3,500 Rp per adult and buses arrive every 20 mins at bus stops. From Denpasar, take the Bus Corridor 1 from the bus stop at Ngurah Rai Stadium and alight at Garuda Wisnu Kencana (GWK Depan). From Ubud, take Bus Corridor 2 from Batubulan Bus Station and alight at bus stop Pesanggaran. Transfer to Bus Corridor 1 and alight at Garuda Wisnu Kencana (GWK Depan). From Kuta, take Bus Corridor 2 from Kuta Central Parking bus stop and alight at Patasari (Tuban) bus stop. Transfer to Bus Corridor 1 and alight at bus stop Garuda Wisnu Kencana (GWK Depan). Once you reach Garuda Wisnu Kencana (GWK Depan), transfer to a feeder bus that takes you to Uluwatu Temple. As the frequency of the feeder bus is not fixed, it may be faster to take a taxi from here to the temple. Another way to get to Uluwatu is by renting a motorcycle from Kuta, but ensure that you have an International Driving Permit to be on the road. Taxi rental is also a popular option from Kuta to Uluwatu which takes about 30 minutes one way and costs about 50,000 Rp. 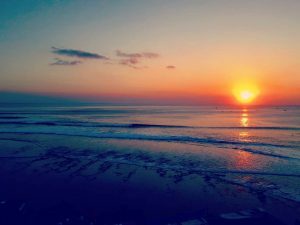 Pay extra and ask the driver to wait for the return trip as it may be difficult to get a taxi out of Uluwatu.